“A moving read about the pleasures and pangs that define the lives of women” (USA TODAY) from the bestselling author of How to Make an American Quilt. A profoundly moving portrayal of the lives of women, imagining the thoughts and events that produced eight famous female photographers of the twentieth century. 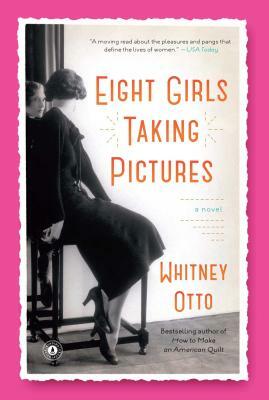 Inspired by the work of Imogen Cunningham, Madame Yevonde, Tina Modotti, Grete Stern, Lee Miller, Ruth Orkin, and others, author Whitney Otto weaves together eight stories, crisscrossing the world and a century to portray the tensions that defined the lives of female artists. These memorable characters seek the extraordinary through their art, yet also find meaning and reward in the ordinary tasks of motherhood, marriage, and domesticity. This is a bold, immersive, and unforgettable novel about women in love. Whitney Otto is the author of five novels, including the New York Times bestseller, How to Make an American Quilt. She lives in Portland, Oregon with her family. "Thoughtful, nuanced depictions of the complexity of women's lives...Eight Girls is a moving read about the pleasures and pangs that define the lives of women." "A rich ensemble novel...full of glamour and grit." " Otto’s photographers battle society’s denunciations and personal demons as they seek love, acceptance, success, and harmony. A visionary and distinctive look at the sacrifices and triumphs of daring women artists." "Blending Otto's saturated yet accessible prose with her talent for stitching together stories of multiple characters with a steady, glittering needle, the novel pays homage to a number of 20th-century photographers whose lives inspired its eight interwoven tales. Otto's vivid narratives of these women's lives-often bohemian, occasionally luxurious, always richly intellectual and full of love-render them as complete, complicated mediums between their cameras and a world that treats them so ambivalently." "The reader is captivated and transported on several levels with a book that rings with universal truths as it pays homage to eight very real ground-breaking photographers. You don’t have to be an art historian nor even like photography to love this deeply soul satisfying work. Each work is a gem to be savored and appreciated like a fine work of visual art." "Otto is certainly [a] mistress of her craft."